January 12: For those who hold the H1B Visas in the United States, President Donald Trump had a surprising message for them. Trump pledged to reform coveted H1B visas, for which three-quarters of applicants are from India, most of them in the technology sector. President Trump, in a controversial tweet said that the high-skilled immigrants currently in the United States could see major changes to their visa program soon, including a possible path to citizenship. 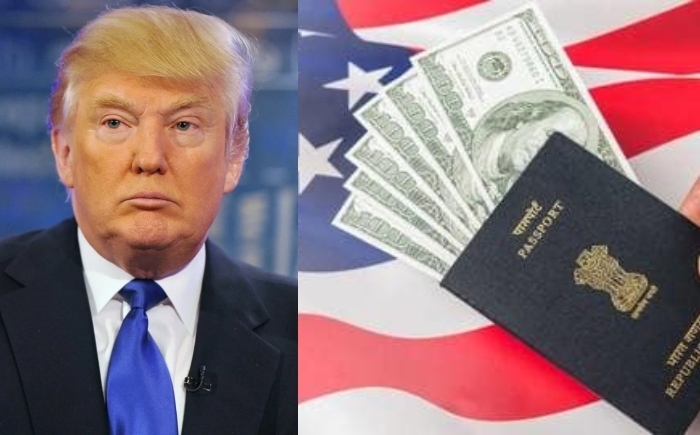 The H1B system allows companies in the states to hire temporary foreign workers to fill needs not met by the US workforce which is not intended as a permanent path to citizenship for immigrants coming to the United States. But, the Immigration reform has been a centrepiece of the Trump administration in recent days. H1B program applies to professional workers sponsored by employers, which allows them to remain in the country for an initial three years, with an option to extend up to six years. The total number of H1B visas issued per year is officially capped at 85,000 per year. Although Silicon Valley and India have both pushed hard for a more generous visa system for skilled foreign employees, saying they are indispensable in powering the tech industry, critics have pushed the agenda that native-born Americans should have priority for the generally well-paying jobs. It is not clear what changes Trump has in mind, but Department of Homeland Security is expected to introduce a number of changes to the program which will likely include revoking the Obama-era rule which gave work permits for the usually low-skilled spouses of H1B holders and giving enhanced visa preferences to graduate students, as quoted in The Washington Free Beacon.